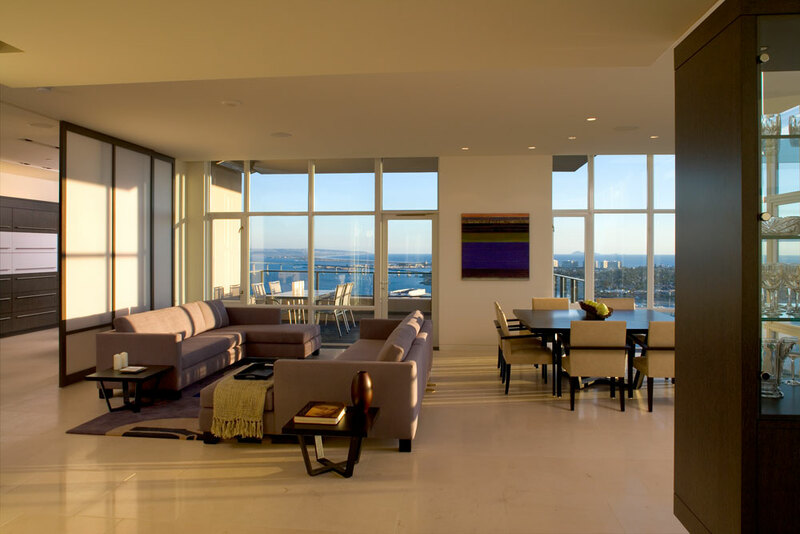 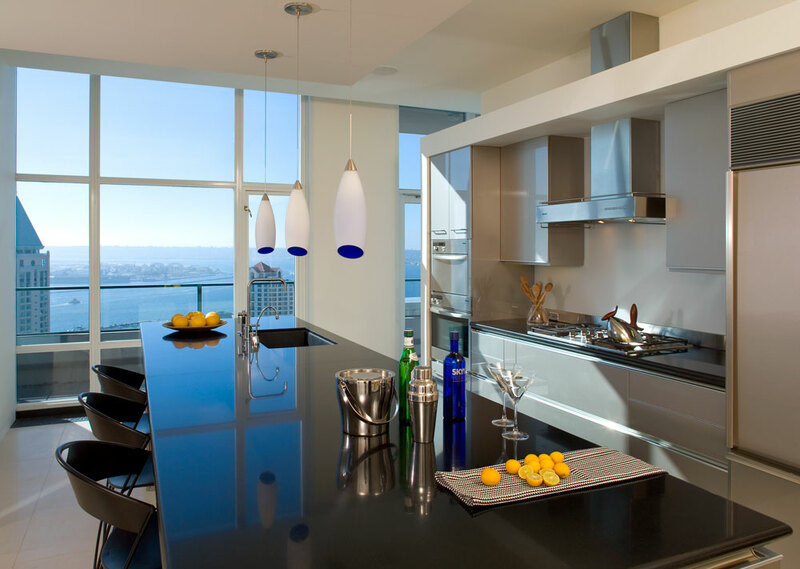 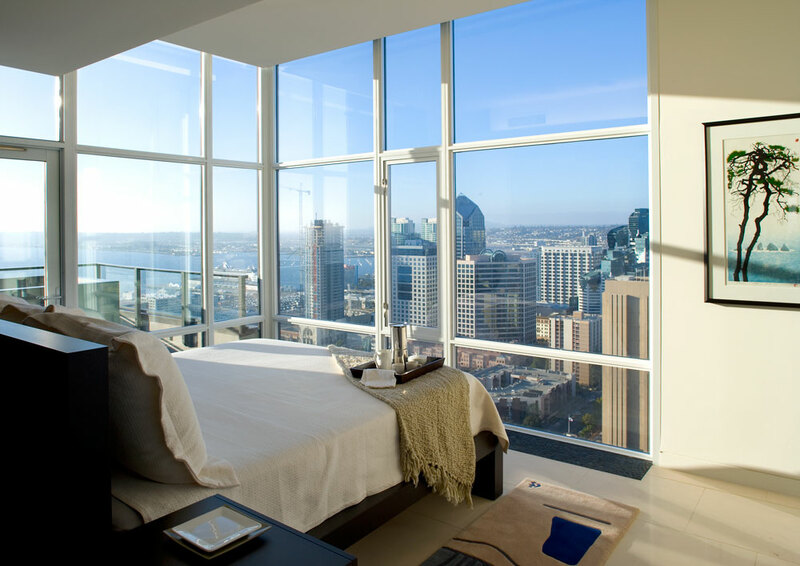 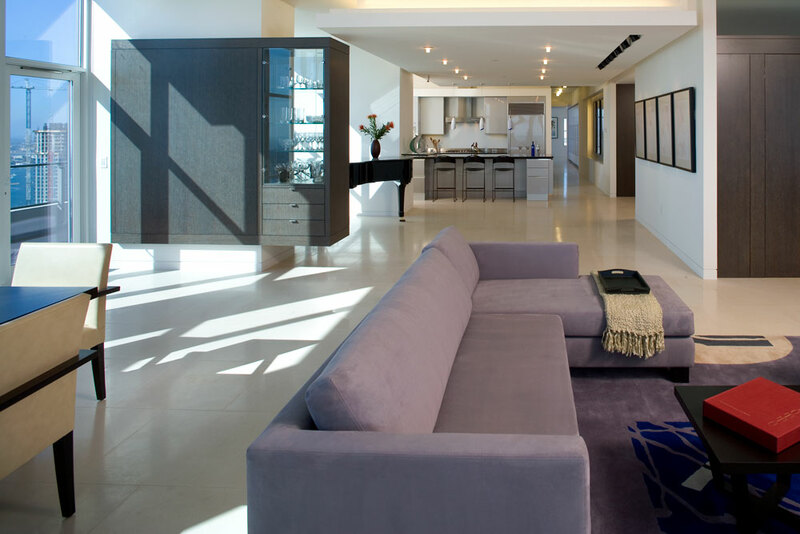 Interior Design of a 33rd floor apartment to take advantage of the 180 degree views of the San Diego harbor and skyline. 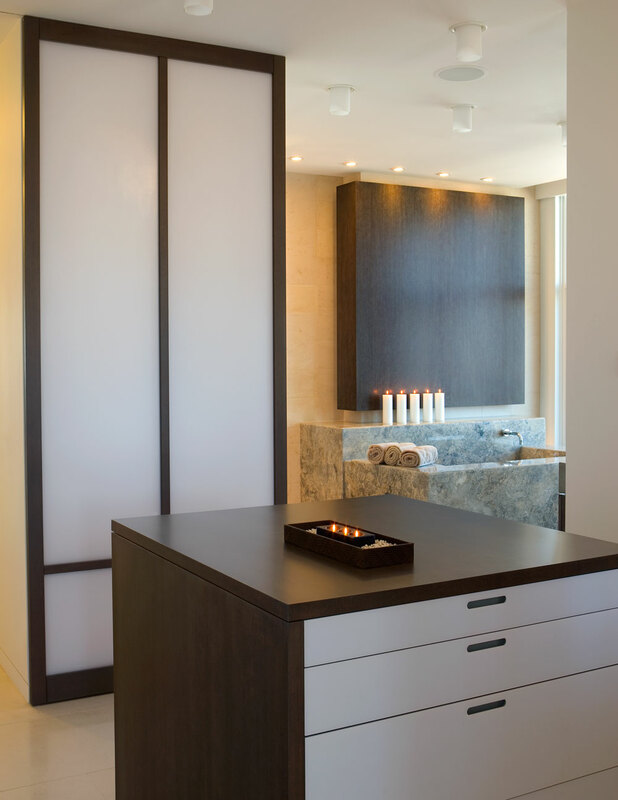 Inspired by the tension between city and waterfront, spaces transition between protected and open. 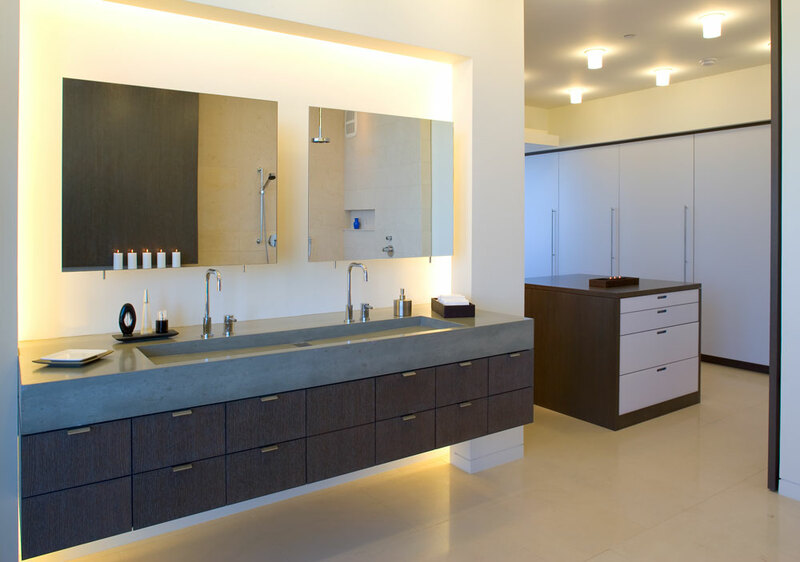 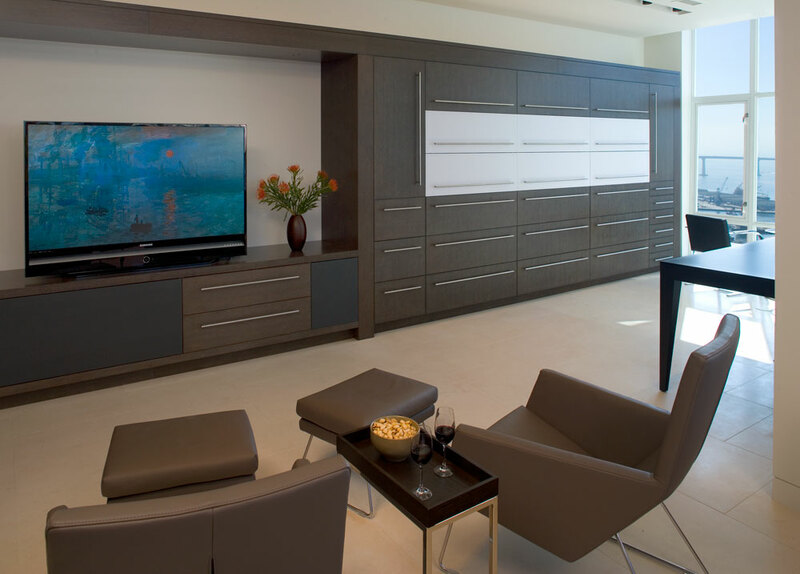 A cool color palette expands and enlivens the space while warmer colors and materials provide tranquil retreat.